Daniel Boone (1734 -1820) was an American Frontiersmen, Trapper, Surveyor, and Pioneer Extraordinaire. Featured below is a near Mint Condition Land Survey, accomplished by Boone, in Kentucky. It is dated June 11,1787 - when Daniel Boone was Deputy Surveyor of Kentucky. Any imperfections observed on Photograph #3 below are due Totally to camera flash glare. The Drawing of the actual Kentucky Survey is fully illustrated and was accomplished by Daniel Boone himself. He wrote, in part, " survaid 487 acres of land......Daniel Boone D. S.". Daniel Boone fought during the Revolutionary war, then with great difficulty worked his way into Kentucky as one of the earliest Trailblazers. Eventually Boone became a Legislator, Sheriff, and Official Surveyor. Daniel Boone was no Mythic figure in American history. He was real. This was one brave man. Careful study of his accomplishments, lead to the conclusion that Boone was an American figure whose deeds often bordered on Heroism that would be difficult to ever exaggerate. Daniel Boone was once partially Scalped in Battle with Native Americans - And as a result, in perhaps Boone's only deference to Vanity, tended to nearly always wear a wig or a hat. Important Historic Kentucky related material, Authored by Daniel Boone is Scarce in any form; but exceptionally so when a Rare one-page Land Survey is written entirely in the hand of this American Pioneer Extraordinaire. 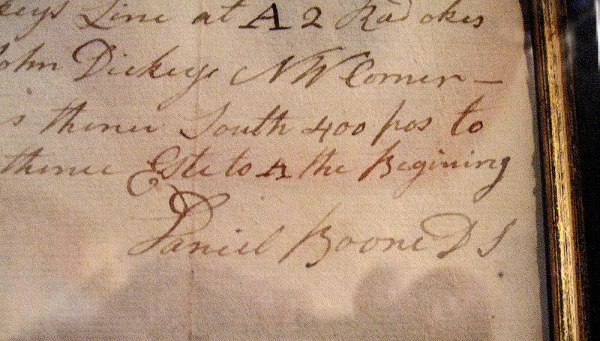 The above - 1787 Daniel Boone Survey in Kentucky - is an Esteemed Addition to The Collection of Raleigh DeGeer Amyx (a.k.a.) as The American Heritage Collection. 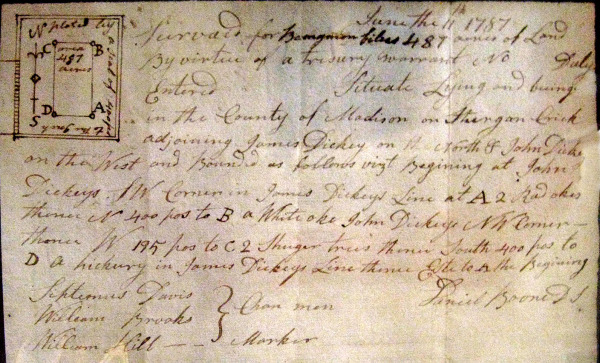 Illustrated just below is an extremely Rare 1787 Kentucky Land Survey, dated June 11, 1787. 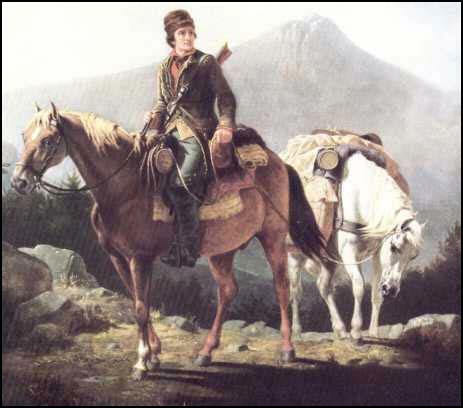 Daniel Boone (1734 – 1820), was an American Frontiersman, Trapper, Surveyor and Pioneer Extraordinaire. And it was Daniel Boone that authored the remarkable Survey below. In the late 1700s the Legendary Daniel Boone became an Official Deputy Surveyor in the Territory of Kentucky. In the top left portion of the illustration above, the actual Survey is shared for all to view. Despite all the rumors that Boone could not read or write, what you are actually seeing here are detailed words and observations, made in 1787, by Daniel Boone and all words are in the hand of Boone. In part ......"Surveyed 487 Acres of Land.... Daniel Boone-D. S."
Daniel Boone participated during the Revolutionary war. And then through sheer determination, skill, fearlessness and hard work made his way into the Kentucky as one of the earliest Trailblazers. Eventually Boone became a Legislator, Sheriff, and Surveyor. 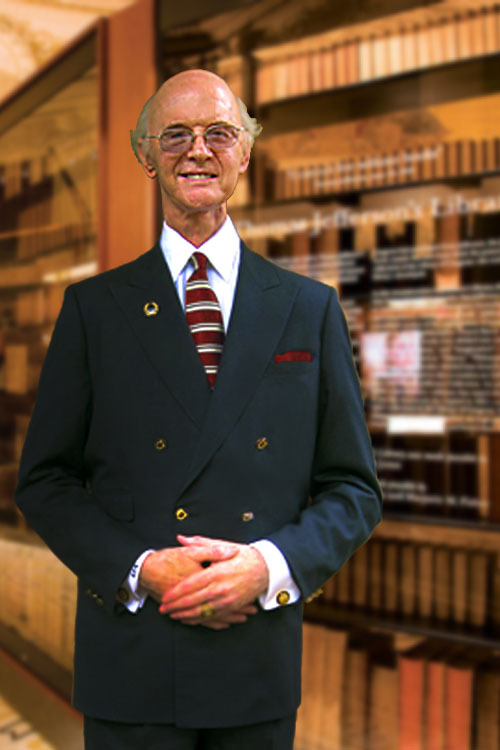 After tiring of endless Land Disputes and sundry other issues, primarily over contested Lands, Boone made his way to the Territory of Missouri, where he passed away quietly, at the age of 86, and was laid to rest. 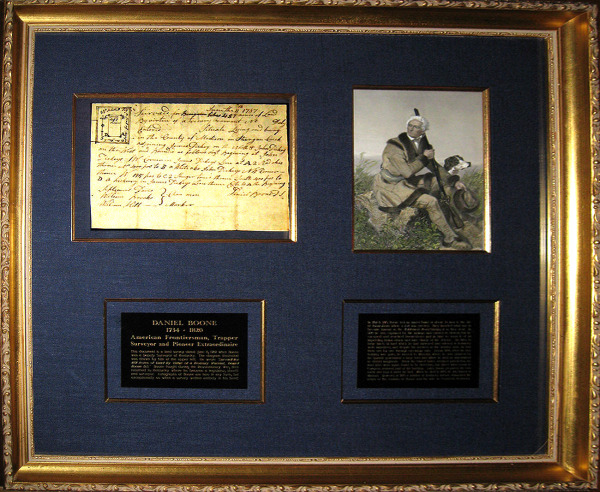 Autographs of Daniel Boone are rare in any form; but exceptionally so when a Rare one-page Land Survey is written entirely in the hands of this American Pioneer Extraordinaire. 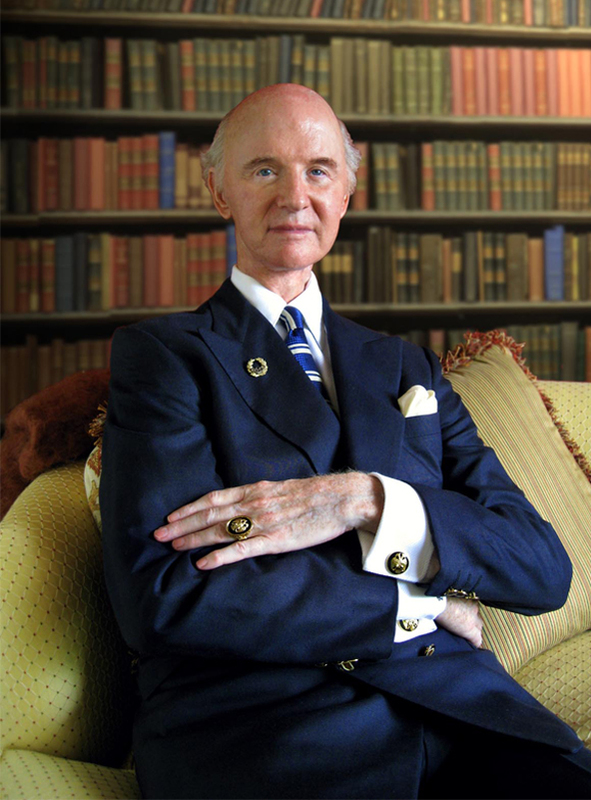 The above such 1787 Daniel Boone Land Survey is now an esteemed addition to the Collection of Raleigh DeGeer Amyx, AKA The American Heritage Collection.